VietNamNet Bridge – With its beautiful scenery and a strong desire to ride the waves of globalisation, Viet Nam is a promising destination for film co-productions. Foreign film producers are turning up in numbers to explore the potential of this emerging market. In addition to French, American, and ASEAN filmmakers, Bollywood has recently cast an eye on Viet Nam. However, much remains to be done to realise the nation’s potential. Among other things, improvements to the regulatory framework and development of local filmmaking capacity are essential. Most film projects employing Vietnamese participants are not classed as co-productions. 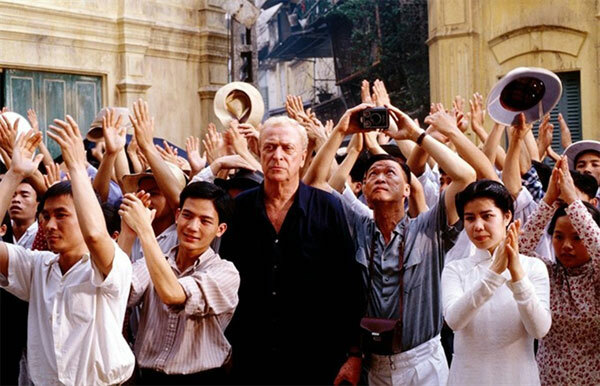 Following the country’s open-door policy, some foreign films were shot in Viet Nam in the early 1990s. These included L’Amant and Indochine. Later, The Quiet American was filmed here in 2002. Viet Nam provided location and other services to these films, but local filmmakers did not participate as co-producers. However, co-production has emerged in television programs. Viet Nam Television, for example, recently entered a co-production project with a Korean partner. Foreign filmmakers have identified licensing and a lack of tax incentives as two key challenges facing film production in Viet Nam. It is mandatory for foreign filmmakers to obtain film and location permits to shoot in Viet Nam. While the administrative procedures have been eased lately, some are concerned about the requirement to have scripts reviewed by the licensing authority, which may suggest changes to the script before production. There is also the commonly shared belief that Viet Nam is not as competitive as neighbouring Thailand or Cambodia in terms of service quality. Most importantly, Viet Nam still does not have a tax incentive policy to attract foreign filmmakers. The silver lining is that the Vietnamese film authorities have become increasingly proactive in promoting film co-production. They have facilitated public forums for discussion and sought insights from foreign case studies on how best to stimulate film production. For example, they invited the MPA (Motion Picture Association) to present the rationale for tax incentives in film production. While the American expertise may not have a direct impact on policy development in the Vietnamese context, it sent a strong message about the importance of tax incentives in attracting foreign filmmakers. The community of Vietnamese film producers is also keen to develop their capacity and to expand their network. They admit that a lack of resources and adequate skills are obstacles for co-production. Most of them are open to learning opportunities with foreign film producers. Crew training, for example, is best achieved by working on a foreign production. With the growth of the Vietnamese film industry, we can hope that these shortcomings will be tackled in the near future. * Producer Tran Thi Bich Ngoc graduated from the Hanoi Academy of Theatre and Cinema in 1998. Since then, she has gained extensive experience in Viet Nam’s film industry. She is the producer of Big Father, Small Father and Other Stories (2014), directed by Phan Dang Di, selected for official competition at the 2015 Berlin International Film Festival. The film “The third wife”, by Nguyen Phuong Anh, was presented at the 2016 HAF, Hong Kong International film festival and won the award for Best Non-Hong Kong project.